Amazon is my favorite affiliate program. It allows me to share links to products that I buy and use from Amazon and make a small commission off each purchase. If you are interested in getting started as an Amazon affiliate, or with any affiliate program, take a look at a coiuple of my previous posts. I commonly share product links in my tutorial posts. I can show my readers exactly what I am using and where to buy it. If a reader buys something through my link I get a commission that I use to help manage this site. 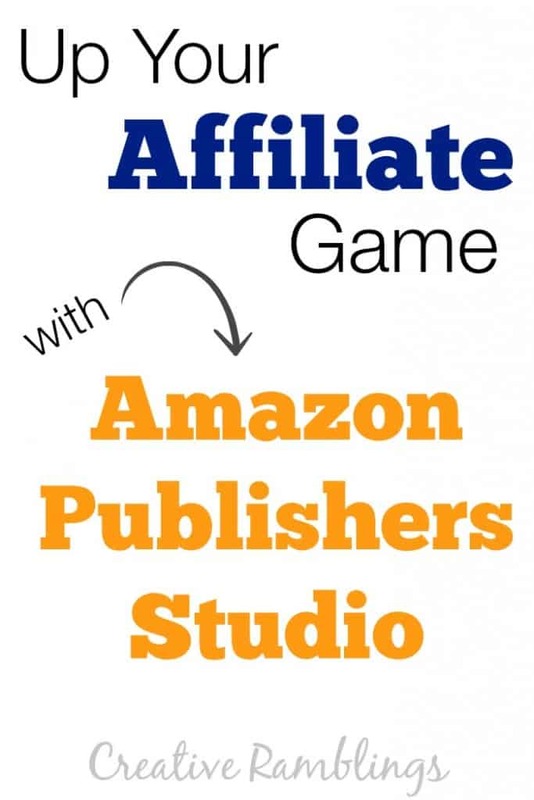 Last month I tried my hand at a new Amazon feature called Publishers Studio. Take a look at this Christmas List post to see it in action. 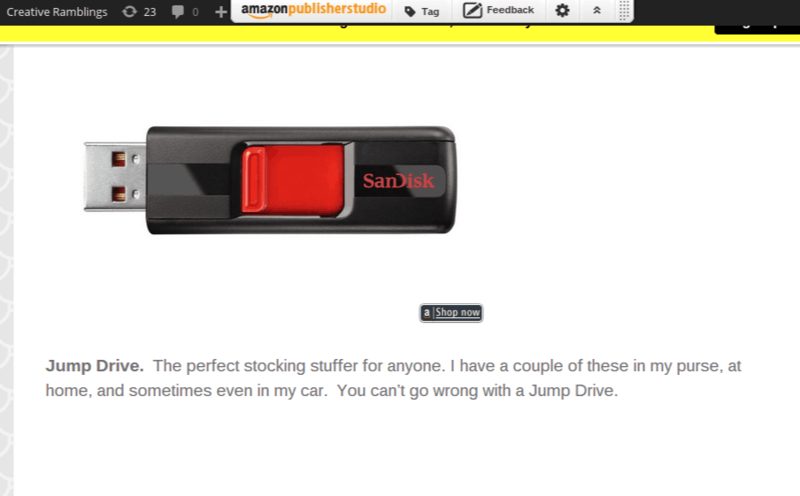 Publishers studio allows me to link an image directly to an Amazon product. Unlike traditional Amazon affiliate links a reader can click a “Shop Now” button in the corner of an image, read about, and purchase the item directly from my site. 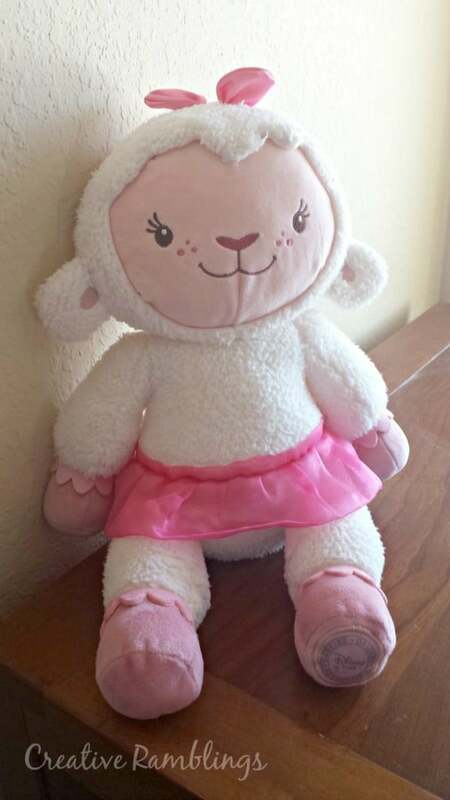 Take Lambie for example, I linked this photo to the stuffed animal available on Amazon and it can be purchased right here on my site. If you are an affiliate you can get started here. The video at the top of this page tells you exactly how to get started. You will need to install a bit of code on your site. Make sure that code goes in your footer. Once the code is installed and you have enabled your toolbar write your post, add pictures, and get it ready to publish. You will add your affiliate links outside of your editor. For example in WordPress save your draft, then click preview. In the new preview window you will see a toolbar at the top of your page. Click tag in your toolbar then click on the image you want to link. Search for the image and choose the one you want to link to in the drop down list. Final tip, use this responsibly. Be sure your pictures accurately represent the products you are linking to. You can use pictures directly from Amazon or you could link to a photo of a product you are using and posting about. Publishers Studio gives a clean look to your post and allows you to use images, which can be more attention grabbing than just a list of links. The easy Shop Now feature allows your readers to quickly get what they need and get on with reading without having to jump to another site. Have you tried this yet? I’d love to hear about your experience and your thoughts on Publishers Studio. This is genius! I’m set up with the affiliate program through Amazon and didn’t even know about this. Thanks so much for sharing!! Lory. I wrote this post last year when Publishers studio launched. At the time a shop now button appeared when you hovered over the image. Just recently Amazon has made a change and that nice little button no longer shows up. 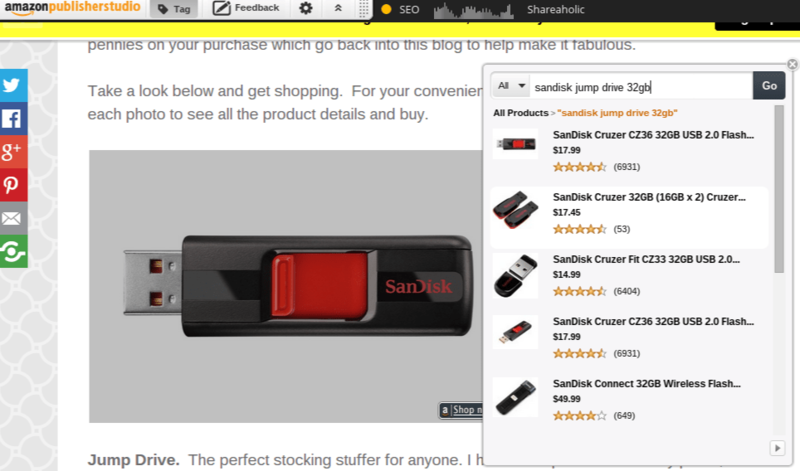 The tool is great for a blogger to easily link an image or text to a product, but the user end of it isn’t much different than a traditional affiliate link. Thanks for stopping by today! This is awesome – thank you so much for the tip and links!